I wish the screen was resizable and that it supported iPhone compatible controls, but both of those assume that browser performance will improve enough to make it playable. 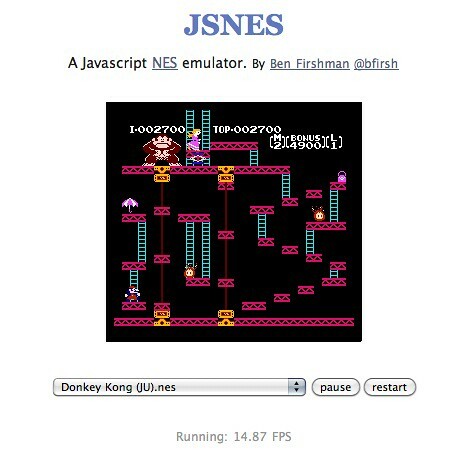 Interestingly, though not surprisingly, the Safari JS engine is limited to consuming a single CPU (which it quickly does while playing JSNES). Pigeon Beats ADSL: Slow Networks Or Massive Storage Capacity?